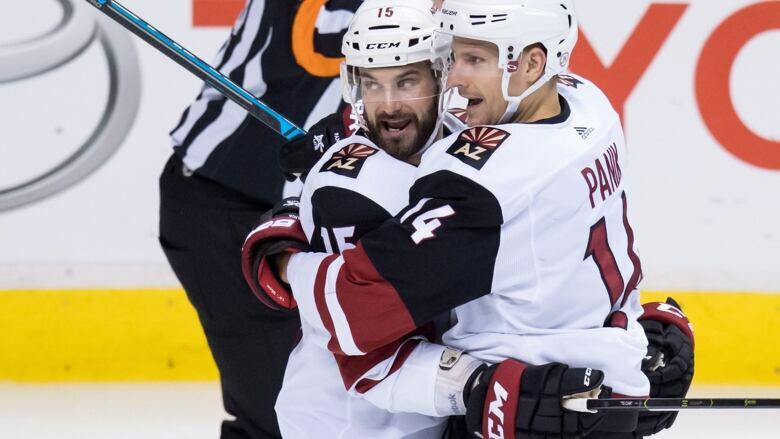 Richard Panik scored his second goal of the game in overtime and added an assist to lead the Arizona Coyotes to a 4-3 victory over the Vancouver Canucks on Thursday night. The Arizona Coyotes kept relinquishing one-goal leads, letting the Vancouver Canucks stick around. "I feel like it's a character win for us today," Arizona defenceman Niklas Hjalmarsson said. "We battled out there."